On day 3 of the festival, rising teen idols and a CSI star flashed their pearly whites (for good causes), young songstresses made the crowd swoon at a legendary nightclub, and the classiest “madman” actor of all received a loving tribute (and a shiny award to go with it). The Christopher B. Smith Rafael Film Center was packed again after yesterday’s tribute to Costa Gavras, this time to pay homage to beloved Australian actor Geoffrey Rush. Back in 1996, when Shine–one of Rush’s first feature roles and one that won him an Oscar for best actor in 1997–premiered in the United States at Sundance, but Rush wasn’t in attendance. 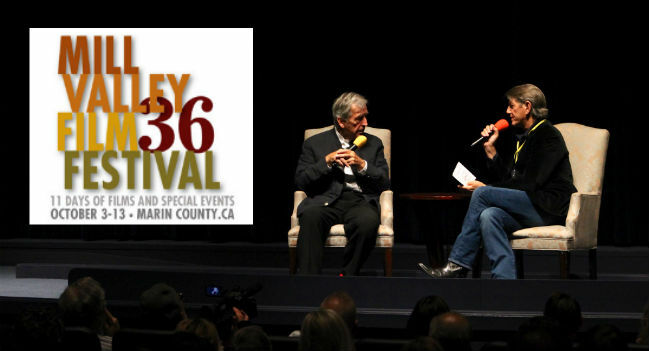 When the film screened at the Mill Valley film festival, however, he was all too happy to fly out to the Bay Area to make an appearance. 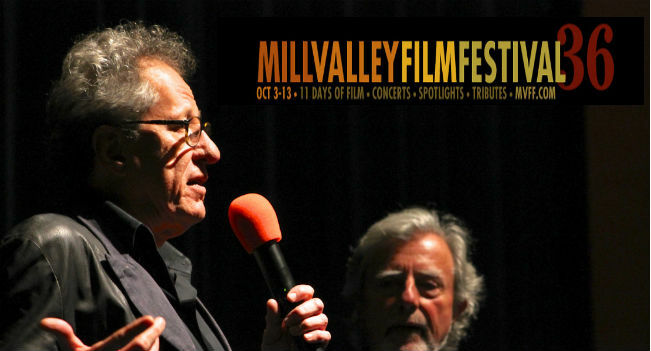 Last night, in front of hundreds of Rush’s admirers and friends, Zoe Elton, MVFF’s director of programming, shared with Rush that a few of the staffers at the festival remember him visiting the “2AM Club”–one of Mill Valley’s oldest bars–after the screening of Shine. “I have no memory of this,” Rush replied, with the same charmingly dry wit he’s infused into so many of his roles over the years, drawing a wave of laughter from the crowd (including yours truly). The Mill Valley Award was presented to Rush by esteemed director Philip Kaufman, who admitted he had a bit of stage fright prior to taking the theater stage, not because he was afraid of public speaking, but because he was to be followed by the enchanting Mr. Rush. As Rush joined him onstage, it was clear what Kaufman meant by the compliment–Rush’s personality is as magnetic in person as it is on screen. He speaks with his hands, exhibits a keen sense of humor, and exudes class with his low, round timbre. During the Q&A mediated by Elton, the two revisited Rush’s illustrious film career, in which he’s played every type of role imaginable, from eccentrics like Captain Barbosa (Pirates of the Caribbean), The Marquis de Sade (Quills), and Casanova Frankenstein (Mystery Men), to his powerful turns as Leon Trotsky (Frida), Philip Henslowe (Shakespeare in Love), and, of course, pianist David Helfgott in Shine. Rush recalled his mindset at the time of Shine‘s American release, when he was still quite active in the theater in Australia. “I reached a point where I thought, whatever happens to Shine–and it was an interesting journey for me to come to America and Mill Valley–I can always go back to a solid career in the theater.” Luckily for all of us, Shine did amazingly well here in the States, and we’ve been gifted some of the most unforgettable performances by one of the great actors of the past 20 years. Beautiful young actress Katherine McNamara plays the new kid in school. “I’m a bystander of the bullying situation. I’m the new girl in town, so I have a more objective view of things and can see through most of the games being played.” McNamara explained that the film “addresses every kind of bullying, from at school, to outside of school, cyber-bullying, bullying between siblings…everything is covered.” According to Giunta, the film has been received well by kids who’ve seen it, and the message is getting across loud and clear. “People gravitate toward this movie and think it’s going to help a lot of people.” The films airs Tonight at 6pm ET/PT on Cartoon Network. Actress Jorja Fox, best known for her role as Sara Sidle on CSI, and directer Tim Phillips were on hand in Mill Valley with their new documentary, Lion Ark, following a team of animal activists trying to save lions from circus runners in Bolivia keeping them in captivity illegally. Film subject and President of Animal Defenders International, Jan Creamer, was also in attendance to introduce the film, which has generated quite a bit of buzz at the festival for its thrilling narrative storytelling and its fascinating interviews and footage. Just down the street from the Lion Ark screening, at Sweetwater Music Hall (a tiny, historic night club with a long legacy), a smaller, more intimate crowd was gathered to listen to gorgeous songs played by young female talents. The nightclub–which for over 40 years hosted the likes of Carlos Santana, Bob Weir (who’s an investor of the venue), and Elvis Costello among many others–is a historical live music staple of Marin County with state-of-the-art sound (it really does sound great) and gourmet food. Lily Kershaw, a 22-year-old folk songwriter with a smoky, tender, smooth-as-butter voice, played an intimate set of rich, well-crafted songs that had the club entranced. Her song “Promised Land” was a highlight, a song that begins with the line “I gave you my body”, which makes it all the more hilarious that it’s a favorite of Kershaw’s grandfather, which she revealed in the song’s introduction. As always, stay tuned to Way Too Indie for more updates from the festival!